Mention Mt. Hood Skibowl, and you’d be forgiven if your first thought is the epic 1,000 acres of terrain, made for skiing and snowboarding. But Skibowl, at the southern base of Mt. Hood in Government Camp, is also a hot spot for another family fun adventure: tubing. Every weekend and holiday during the winter (and through Spring Break), the resort’s Snow Tube and Adventure Park transforms into a one-of-a-kind snowy scene complete with pulsing colored lights, bumping music and squeals of delights. It’s all part of the resort’s Cosmic Tubing experience — World’s Only Cosmic Tubing®, in fact — which turns the hill into a sort of icy dance floor lit up by 600,000 LED lights, black lights, lasers and more. Even outside of the cosmic experience, tubers can catch an easy ride to the top of the main hill on two conveyor lifts — the second of which is brand new — and a thrilling ride down. The more adventurous can take on the Extreme Tube Hill, guaranteed to get that adrenaline pumping. Sixty-five runs that range from chill glides to intense plunges down rocky crags — that’s a glimpse at what Skibowl’s got for skiers and boarders. Split into Skibowl East and Skibowl West, the resort features nearly 1,000 acres of terrain, four chair lifts, three terrain parks and runs that span from steep to slow to scenic — or a little of each. New to the slopes? Skibowl also has lessons, rentals and everything else you need to get going. After dark, the lights come on at Skibowl at night to shine on what’s known as America’s largest night ski area. 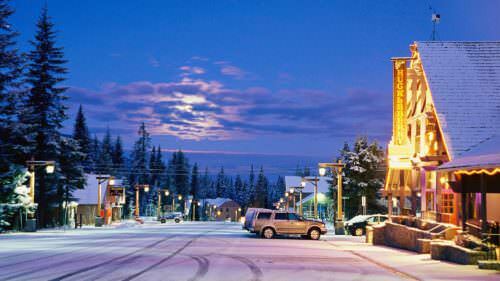 Skibowl’s evening set lights up 34 of the resort’s runs. 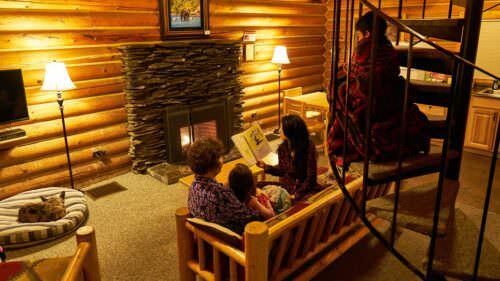 Skiing, snowshoeing and tubing not enough action for the little ones? Skibowl’s got ‘em covered with a range of other wintry activities in Frosty’s Playland and the Winter Adventure Park. The Super Play Zone is an indoor heated fun house with ball pits, slides and all other kinds of fun. There’s also the Kiddie Carousel, which twirls the kiddos around on giant tubes, and the Kiddie Snowmobiles, which give kids the chance to saddle up on a pint-size sled. Pizza, burgers, hot chocolate and, for the big kids, something a little stronger — Skibowl has everything for staying fueled up on the mountain. 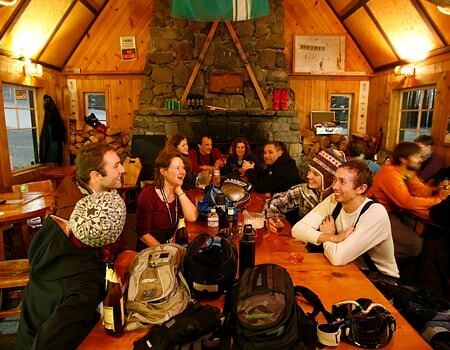 In addition to the Starlight Lodge, the Multorpor Cafe, the 70 Meters Bar & Grill and the Beer Stube, you’ll want to make sure to spend time at the Historic Mid-Mountain Warming Hut. Perched halfway up Skibowl Peak, the 1930s-era stone and timber hut, with its roaring hearth and cozy vibe, makes for the perfect place to take a slope-side break, sip hot chocolate or goulash and soak in the good mountain life. 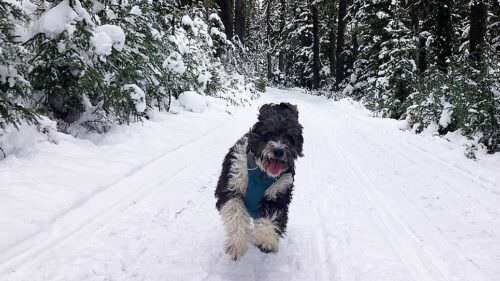 For those families in search of a mountain outing that’s a little more wild, Skibowl’s Mt. Hood Adventure company offers a range of opportunities. Based in Government Camp, Mt. 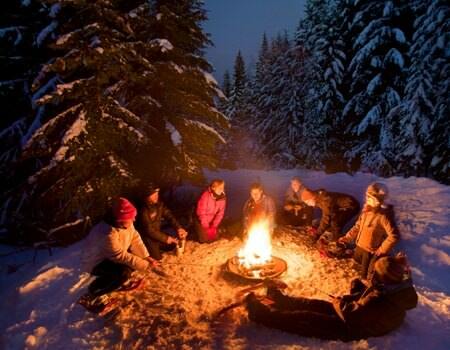 Hood Adventure offers guided snowshoe and cross-country ski tours to places like Trillium Lake and White River or guided snowmobile tours that cruise through the Mt. Hood National Forest. When you’re all tuckered out, it’s a relief to stay closeby. Collins Lake Resort, right across from Skibowl in Government Camp, features 151 chalet units and 48 grand lodge units that make it easy to stay on the mountain. Even better? The resort is within walking distance of some of the village’s best aprés ski options, including the Ratskeller, the Huckleberry Inn, Mt. Hood Brewing Co., the Taco Shoppe and the Glacier Haus Bistro. Rise the next morning and kick off another mountain day with breakfast at the High Mountain Cafe. 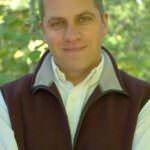 Jon Bell is an Oregon writer and author of the book, On Mount Hood: A Biography or Oregon’s Perilous Peak. He writes about the outdoors, travel, business, the environment and many other ares from his home in Lake Oswego, where he lives with his wife, two children and black Lab.